We know that successful team dynamics is critical in building organisations, however many of our HR and people management processes are still designed around the individual. 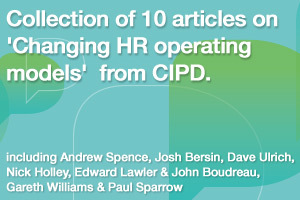 Which individual are at risk of leaving the organisation? The end result is a visual representation of your team dynamics – the example in the image above, is an ONA diagram from OWEN Analytics and was used to understand team dynamics in a pharmaceutical organisation. By being able to visualise teams relationships we can begin to build a strong foundation for organisations of the future based on a deeper understanding of effective teams. I am looking forward to sharing more case-studies and success stories at PA World over the coming years. This entry was posted on Friday, April 28th, 2017 at 2:58 pm	and is filed under Cognitive Diversity, Future of Work, HR Blogs, HR Careers, HR News, HR Strategy, HR Technology, HR Transformation, Organisational Network Analysis, Owen Analytics, People Analytics, Predictive Analytics, Productivity, Quantified Workplace, Tucana. You can follow any responses to this entry through the RSS 2.0 feed. You can trackback from your own site.